A unique variety of tea bush found only in Shizuoka, the Gokoh was developed exclusively for the production of Premium Gyokuro Okabe. 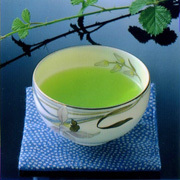 The result is one of the finest teas in all of Japan. 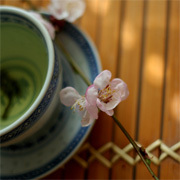 Green tea connoisseurs will not be disappointed in its elegant aroma and noble flavor. Premium Gyokuro Okabe is grown and harvested in Okabe Town, Shizuoka Prefecture, a pristine area surrounded by immense natural beauty. The area is famous throughout Japan for Gyokuro production and its Gyokuro tea ceremony and tasting rooms situated at Gyokuro No Sato. Brewing instructions are not printed on Consumer (Bulk) packages. Please see the How To Brew page for brewing instructions. 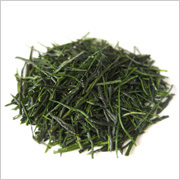 Premium Gyokuro Okabe brews exactly like regular Gyokuro.